Desert Mountain Energy Corp. (TSX.V: DME) is engaged in exploration and development of helium, oil & gas and mineral properties, in the Southwestern United States. 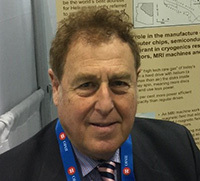 At PDAC2019, we learned, from Irwin Olian, President and CEO of Desert Mountain Energy, the Company's current focus is on helium, which is in surging demand in the high-tech world. There is currently a worldwide shortage of helium, its price has gone up 135%, in the last 12 months at public auction, to the equivalent of $279 per thousand cubic feet of crude helium gas. Desert Mountain's flagship Heliopolis Project comprises 39,742 acres of key helium prospects, located in prolific Holbrook Basin, in East Central Arizona, widely considered to be the world’s best address for helium. Near term plans include a drilling program, late in the second quarter this year. Seabridge Gold (TSX: SEA, NYSE:SA) is a gold exploration company, designed to provide its shareholders with exceptional leverage to a rising gold price. 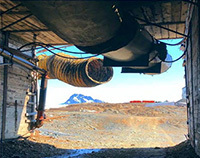 The Company holds one of the world's largest resource bases of gold, copper and silver, in keeping with its prime objective of growing resource and reserve ownership per share. We learned from Rudi Fronk, who is Co-Founder, Chairman, and CEO of Seabridge Gold, that they are sitting with 45 million ounces of proven or probable gold reserves, most of which are situated under their KSM asset, located in northern British Columbia. 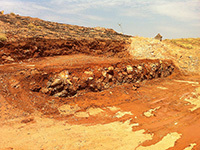 KSM is one of the largest undeveloped gold-copper projects on the planet. With copper and silver credits, the all-in sustaining costs at KSM will be about $350, which would be one of the industry’s lowest all-in cost. Lepidico Ltd (ASX: LPD) is a lithium exploration and development company, who's strategic objective is to become a fully integrated lithium business from mine to battery-grade lithium chemical. 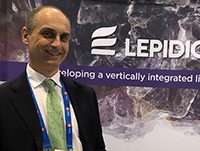 At PDAC2019, we learned from Joe Walsh, Managing Director of Lepidico, that Lepidico is a unique investment opportunity in the lithium space, as the 100% owner and developer of the L-Max® and LOH-MaxTM technologies, proprietary processes, which have the potential to produce commercially, either lithium hydroxide or lithium carbonate, from unconventional sources. These technologies have the potential to place Lepidico at the forefront of the lithium industry. Paramount Gold Nevada Corp. (NYSE American: PZG) owns 100% of the Grassy Mountain Gold Project, which consists of approximately 11,000 acres, located on private and BLM land in Malheur County, Oregon. The project contains a gold-silver deposit (100% located on private land) for which results of a positive PFS have been released in 2018 and key permitting milestones accomplished. 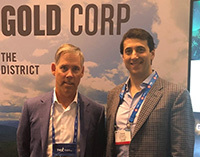 At PDAC2019, we learned from John Seaberg, Executive Chairman of Paramount Gold Nevada, that recently they acquired the Frost Project 12 miles away from the Grassy Mountain. Plans for 2019 include completing the permitting process for the Grassy Mountain, which is going to be a small, but very profitable operation and will have tremendous economic impact on the local communities of Vale and Ontario that are very supportive of the project. White Gold Corp. (TSX.V: WGO, OTC – Nasdaq Intl: WHGOF, FRA: 29W) owns a portfolio of 22,040 quartz claims across 35 properties, covering over 439,000 hectares, representing over 40% of the Yukon’s White Gold District. White Gold is one of the most active exploration companies in Canada, which last year led to 4 new gold discoveries, including the Vertigo, which intersected 22.47 g/t gold over 30.46m from surface. Their flagship White Gold property has a mineral resource of 960,970 oz Indicated at 2.43 g/t gold and 282,490 oz Inferred at 1.70 g/t gold. At PDAC 2019, we learned from White Gold’s David D'Onofrio, CEO, and Shawn Ryan, Chief Technical Advisor, that in 2019, they are focused on diamond drilling to expand their Vertigo discovery, grow their Golden Saddle deposit, increase their recently acquired 230,000 oz VG resource, as well as identify and test multiple high priority regional targets. Revival Gold Inc. (TSXV: RVG, OTCQB: RVLGF) is a growth-focused gold exploration and development company. The Company has the right to acquire a 100% interest in Meridian Beartrack Co., owner of the former producing Beartrack Gold Project, located in Lemhi County, Idaho. Revival also owns the rights to a 100% interest in the neighboring Arnett Gold Project. 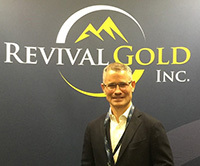 At the 2019 Vancouver Resource Investment Conference, we learned from Hugh Agro, President and CEO of Revival Gold, that in 2018 they did about 8,600 meters of drilling, and the Company's geologists are working on new drilling targets. In 2019, Mr. Agro plans to continue exploration and metallurgical test work, and by the end of the year initiating an updated resource estimate for the project. According to Mr. Agro, investors should focus on finding a winning and committed management team, with the specific experience to be able to take the project forward. 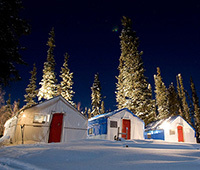 Fission Uranium Corp. (TSX: FCU, OTCQX: FCUUFÂ, FRANKFURT: 2FU) is focused on exploration and development of the Patterson Lake South (PLS) uranium property, located in Canada's Athabasca Basin, home to the world's richest uranium mines. The project is host to the Triple R deposit - the most significant high-grade shallow depth deposit in the region. At PDAC2019, we learned from Ross McElroy, who is President and COO, and Dev Randhawa, who is CEO and Chairman of Fission Uranium, that while 2018 saw the uranium supply going down, Fission has been working on their PFS that is expected to be ready in early Q2 2019, after which the company will go on to a bankable feasibility study. According to Mr. Randhawa, Fission Uranium is a well-funded company without debt, that boasts a highly decorated management team. There's a uranium deficit, and eventually as surplus gets eaten up, uranium prices have to go up. Ascot Resources Ltd. (TSX.V: AOT, OTCQX:AOTVF) is a gold and silver focused exploration company, with a portfolio of advanced and grassroots projects in the Golden Triangle region of British Columbia. The company’s flagship Premier project is a near-term, high-grade advanced exploration project, with large upside potential. We learned from Derek White, President and CEO of Ascot, that in early January they announced a deal to acquire IDM Mining, with its feasibility-ready, shovel-ready high-grade Red Mountain project. According to Mr. White, the deal places Ascot in the top 7% of the world in gold grade, which is critical for lowering operation costs. According to Mr. White, the main reason investors should look forward to Ascot/IDM merger is the critical mass - a pathway to 200,000-plus a year for 10 years of high-grade low-cost production. Integra Resources Corp. (TSXV:ITR ; OTCQX:IRRZF) is a development-stage company, focused on advancing its DeLamar Project, consisting of the neighbouring DeLamar and Florida Mountain Gold and Silver Deposits, in the heart of the historic Owyhee County mining district, in south western Idaho. The first exploration program, in over 25 years, began on the DeLamar Project in 2018, with more than 23,000 meters drilled. The management team comprises the former executive team from Integra Gold Corp. At the PDAC2019 conference, we learned from Chris Gordon, Business Development with Integra Resources, that this year they expect to grow the resource, move a good part of the inferred to the indicated category, analyze the metallurgical studies, and, by September, do a PEA. According to Mr. Gordon, Integra is being very diligent to maintain a tight share structure and an excellent list of shareholders. Avalon Advanced Materials Inc. (TSX: AVL, OTCQB: AVLNF) is currently focusing on developing its Separation Rapids Lithium Project, Kenora, ON and its East Kemptville Tin-Indium Project, Yarmouth, NS to production, while continuing to advance its Nechalacho Rare Earths asset. At PDAC2019, we learned from Don Bubar, President and CEO of Avalon Advanced Materials, that they were an early mover in the space of the advanced materials and have created a portfolio of assets, with a broad range of exposure to the emerging new clean tech materials. Avalon’s overall strategy is to be in a position to bring a new supply to the market, as new technology creates new demand. According to Mr. Bubar, it has taken a while for the circumstances to be perfectly aligned, and right now Avalon finds itself in the great position of having three projects coming together at the same time. Nevada Exploration Inc. (TSX-V: NGE; OTCQB: NVDEF) is integrating hydrogeochemistry, with conventional exploration tools, to develop a Nevada-specific regional-scale geochemistry exploration program. 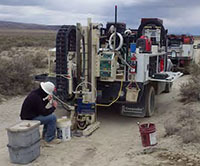 Using its proprietary technology, Nevada Exploration has completed the world’s largest groundwater sampling program for gold exploration, to evaluate Nevada’s covered basins for new gold exploration targets. 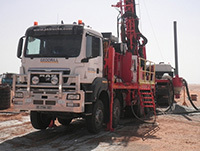 The Company then developed its Scorpion drill rig, a small-footprint, truck-mounted, small-diameter RC drill rig, specifically tailored to the drilling conditions in Nevada’s basins. We learned from James Buskard, President of Nevada Exploration, that in 2019 they’re looking to advance all three of their major projects: South Grass Valley, Grass Valley, and Kelly Creek. 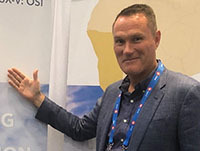 At the PDAC2019, we learned from Heye Daun, President and CEO of Osino Resources Corp. (TSXV: OSI), a gold exploration company, active in Namibia, that they are currently focused on their drill-ready Twin Hills project, which is a new discovery of a very large gold system right next to an established producing gold mine. Plans for 2019 include financing and exploration drilling at Twin Hills, with the goal of turning the discovery of a big gold system into a real economic discovery. Osino's secondary project is an advanced stage Goldkuppe exploration project and a group of target generation stage licenses that are contiguous to B2Gold's Otjikoto Gold Mine. According to Mr. Daun, Osino is in discussions with possible JV partners to develop its non-core projects. 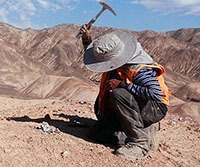 Aethon Minerals Corp. (TSX-V: AET) is a well-funded mineral exploration company, focused in South America. They were spun out of Altius Minerals, in May of 2018, with over 100,000 hectares of prospective land package, in northern Chile and a goal to advance it and to find potential partners to explore the properties. We learned from John Miniotis, Interim CEO of Aethon Minerals, that the Company recently entered into an option agreement to acquire an interest in the advanced-stage Diablillos silver-gold exploration project, owned by AbraPlata Resources in Argentina. The project has over 80 million ounces of silver and 750,000 ounces of gold, in measured and indicated resources. Near term plans include doing detailed due diligence on the Diablillos property and working out an option agreement with favorable terms. Abitibi Royalties Inc. (TSX-V: RZZ) owns various royalties at the Canadian Malartic Mine, near Val-d’Or Québec, and is building a portfolio of royalties on early stage properties, near producing mines. 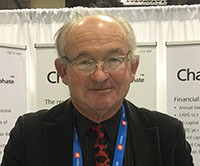 At PDAC 2019, we learned from Ian Ball, President and CEO of Abitibi Royalties that their royalty income started at the end of last year and the Company is looking at $4 to $4 1/2 million in cashflow this year. The Company is in a strong financial position and is debt free, and they bought back about $1 to $1 1/2 million worth of shares over the past 12 months. Largo Resources Ltd. (TSX: LGO, OTCQX: LGORF) is a Toronto-based strategic mineral company, focused on the production of vanadium flake, high purity vanadium flake and high purity vanadium powder at the Maracás Menchen Mine located in Bahia State, Brazil. At PDAC2019, we learned from Mark Smith, CEO and Director of Largo Resources, that Largo's team is one of the best in the industry, they are committed and competent, and they are developing the world's best vanadium resource, processing it with the lowest unit cost, highest recovery, and ending up with the highest purity level of V205 in the world. According to Mr. Smith, today's fundamental supply deficit in the vanadium markets is very favorable to the company, which recorded cash flow of about $129 million dollars in the third quarter of 2018. Novo Resources Corp. (TSX-V: NVO; OTCQX: NSRPF), a Canadian gold exploration and development company, has built up a significant land package covering approximately 12,000 sq km with varying ownership interests in the Pilbara region of Western Australia. We learned from Dr. Quinton Hennigh, President and Chairman of NOVO Resources Corp., that they are looking for world-class large-scale conglomerate gold deposits, and their most advanced project is called Beatons Creek, near the town of Nullagine, in the East Pilbara region. At the moment, Novo is focused on increasing significantly, the current resource of about 670,000 ounces. Novo is working on another interesting project, the brand new conglomerate gold Karratha discovery, in the West Pilbara region, very large system, where the Company did aggressive bulk sampling in 2018. The Company is tightly held with such major shareholders as Kirkland Lake Gold, Newmont Mining, Eric Sprott, and Mark Creasy. West Red Lake Gold Mines Inc. (CSE: RLG, OTCQB: RLGMF, FSE: HYK) has assembled a 3100-hectare property, which has a 12 kilometer strike length and 3 former gold mines, in the prolific Red Lake Gold District of Northwestern Ontario, Canada. 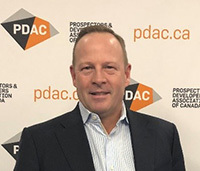 At PDAC 2019, we learned from John Kontak, who is the President of West Red Lake Gold Mines, that, in 2018, they drilled below the 500 meters of the resource area at the high-grade Rowan Mine Deposit, a joint venture with Goldcorp, with the future goal to increase its current 1.087 million ounces of inferred resource. Another drilling program was conducted at the high-grade NT Zone, with good results for what could be a whole new deposit. Plans for 2019 include more exploration at the Rowan Mine Deposit and the NT Zone, with the goal to develop it into a high grade gold deposit. The company has an experienced Management team that has explored and developed and successfully sold gold assets in Ontario in the past.